GlycemaCORE Whey Protein provides fiber, protein, omega-3 fatty acids, lipoic acid, chromium vanadyl sulfate, with no added sugar. This formulation provides a whey protein base, responsibly sourced from grassfed cows in New Zealand, which serves as an alternative therapeutic option for patients. 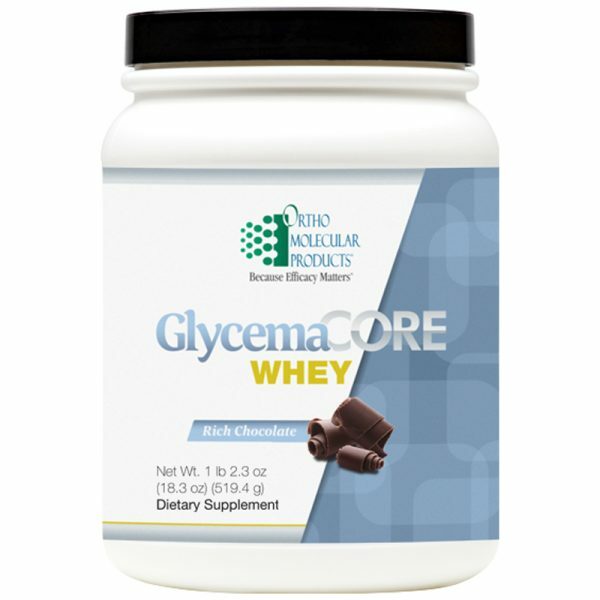 GlycemaCORE Whey Protein is available in delicious chocolate and vanilla flavors. 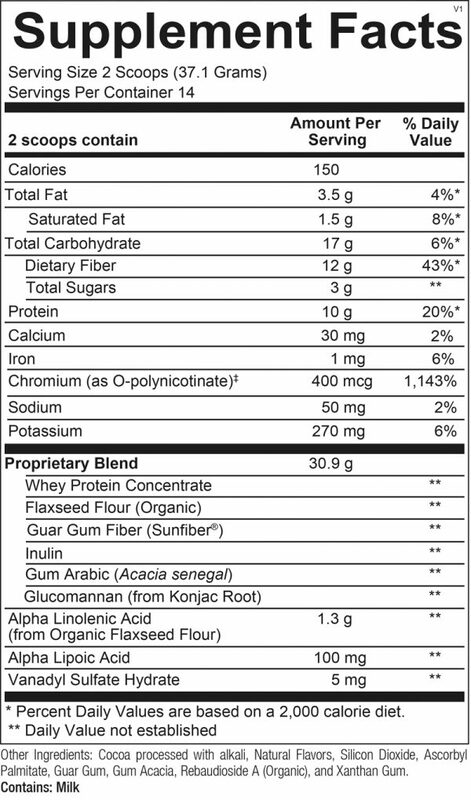 Suggested Use: Mix 2 scoops (37.1 grams) of GlycemaCORE Whey Protein with 8-10 ounces of the beverage of your choice to the desired thickness, once daily or as recommended by your health care professional.